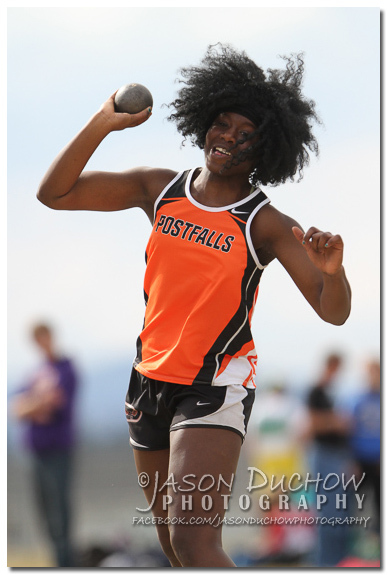 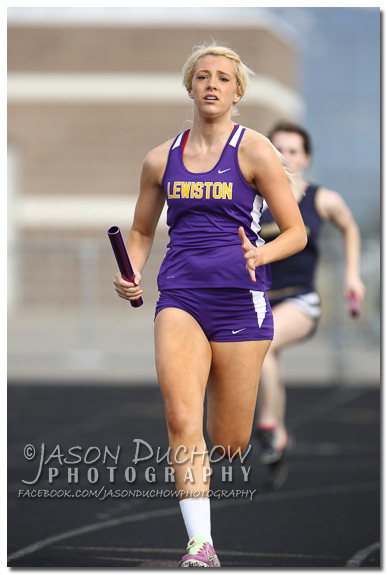 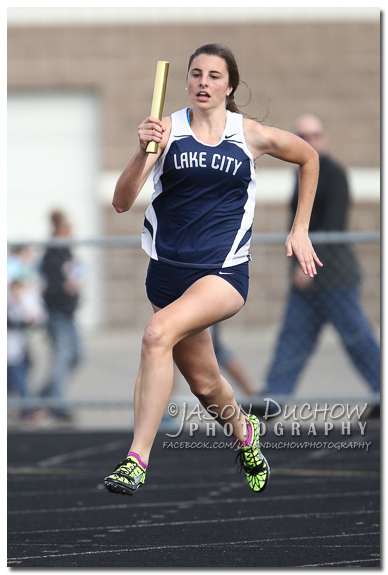 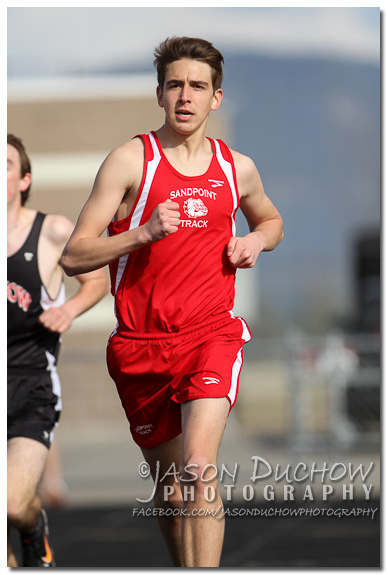 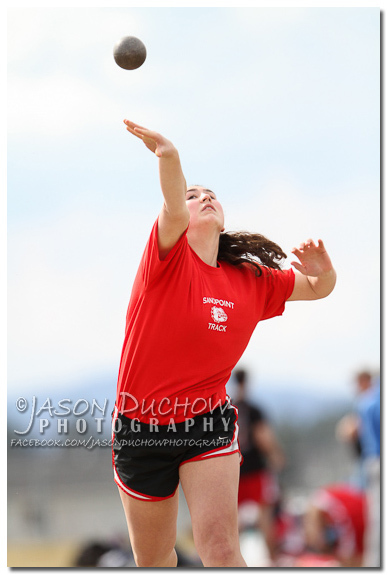 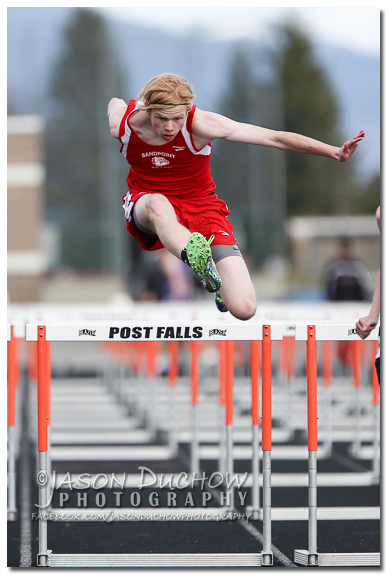 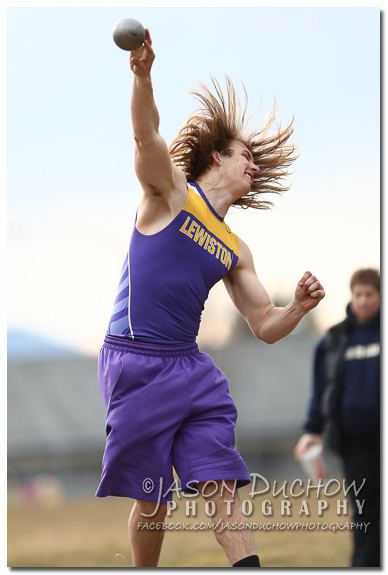 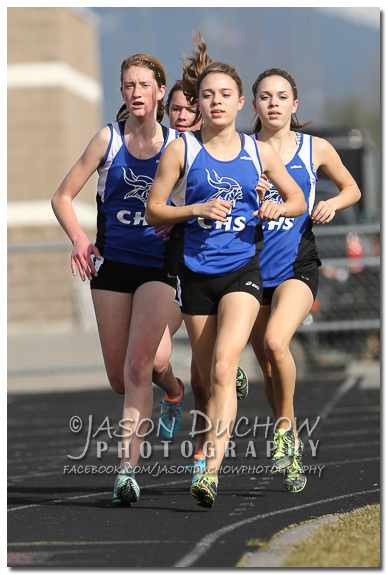 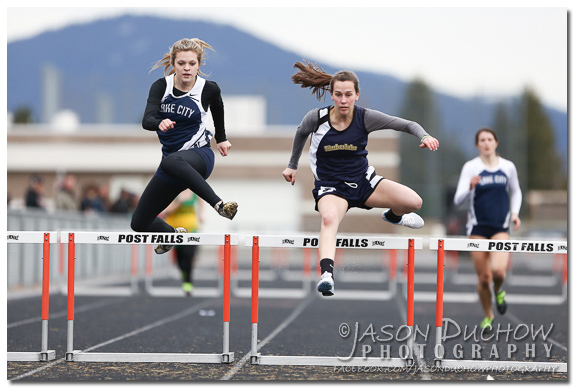 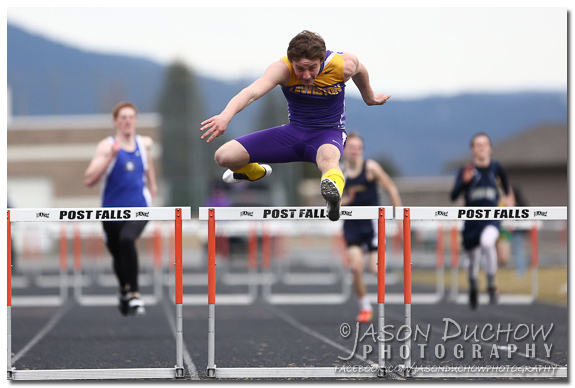 he 2013 Christina Finney Co-Ed Relays at Post Falls High School included hosted teams from Timberlake, Lakeland, Moscow, Sandpoint, Coeur d’Alene, Lake City and Lewiston. 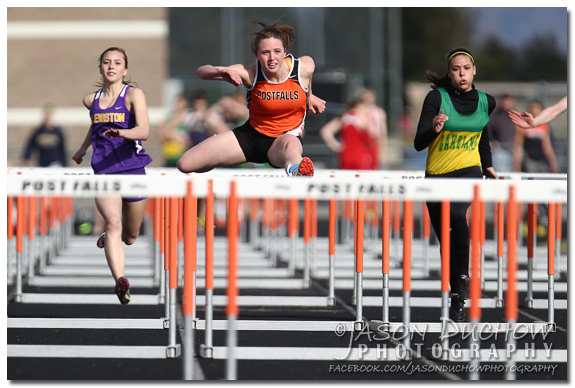 One of the hard things about covering a track meet is that the events are often spread far apart so it is impossible for one person to be at every event. 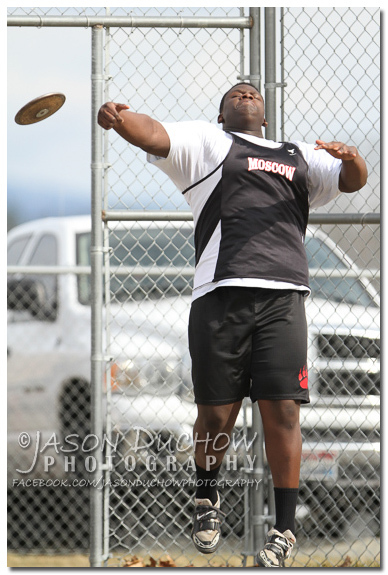 For this meet I spent some time at the shot put and discus rings and went back and forth between the track events and the high jump pit. 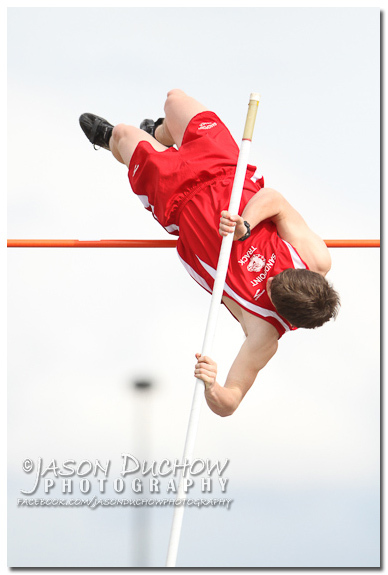 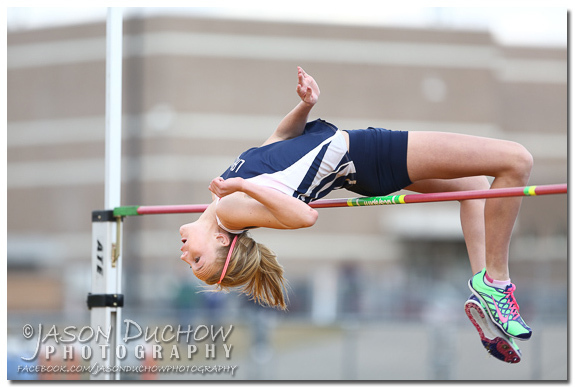 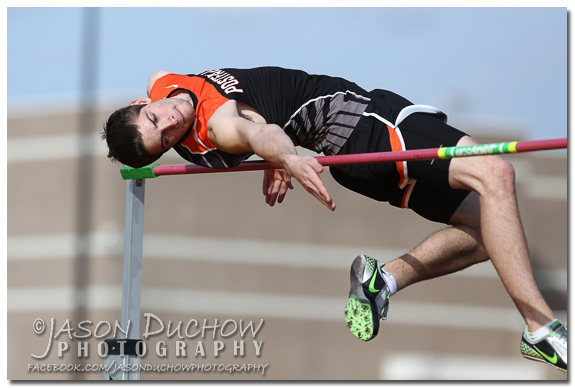 I also grabbed a few pole vault shots on my travels between the throws area and the track.